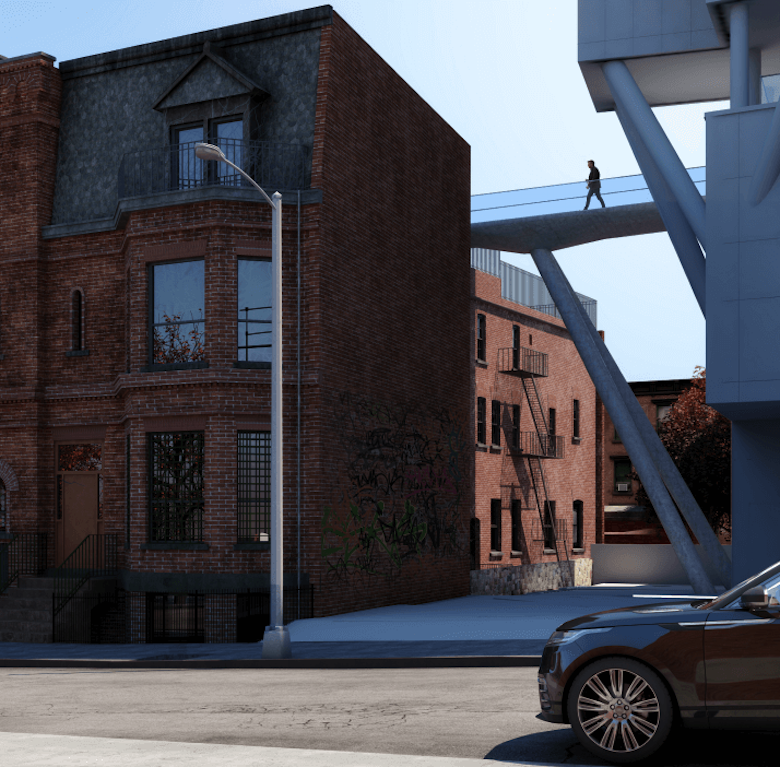 The Landmarks Preservation Commission on Tuesday approved a plan to build a sky bridge between a historic 19th-century church in Williamsburg and a neighboring residential tower. 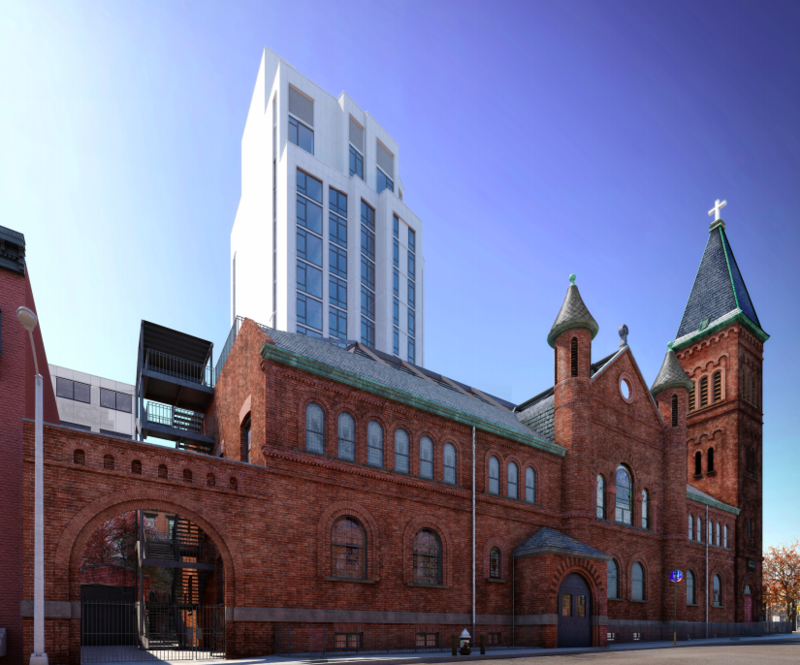 The new mixed-use building is currently under construction at 304 Rodney Street, next to the landmarked St. Paul’s Evangelical Lutheran Church. 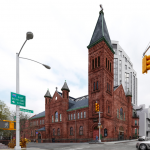 As Brownstoner reported, commissioners expressed concern over the financial feasibility of the project and whether proceeds from the sale of the church’s air rights would be enough to cover the substantial work planned. 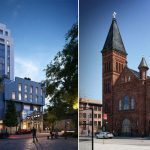 In order to build a taller tower, developers will purchase air rights from St. Paul’s, with the proceeds going toward restoration and preservation work. 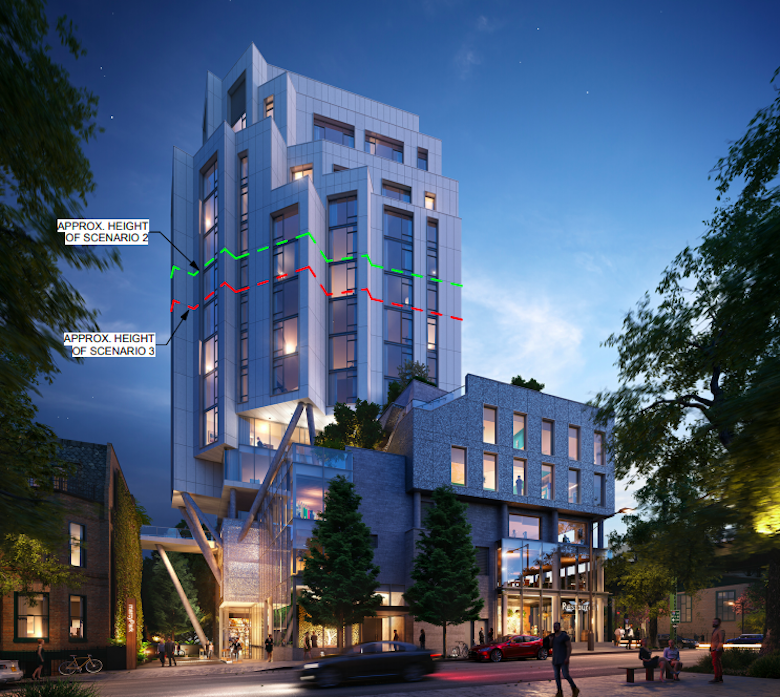 According to the presentation from the architects, Syndicate Architecture and Li/Saltzman Architects, the stained glass and other windows will need to be replaced and the building will be brought up to code. 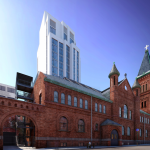 The biggest change includes the construction of a new rooftop terrace and a sky bridge that would connect the church to the new residential building. 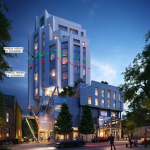 Developers estimated on Tuesday the air rights could go for $1.2 million, which had some commissioners questioning if it was enough money to fund the work. “In my estimation, the amount of money being put aside for this type of restoration is inadequate,” Commissioner Michael Devonshire said, according to Brownstoner. But, like most of the commissioners, resigned to the fact that the church is in desperate need of the upgrades. Other restorations include the roof’s parapets and its gables and turrets. Plus, the rear facade fire stairs and a side gate will be replaced to comply with ADA regulations.